Blog › Let PostBox Shop help to keep David Walliam's mail safe - BGT's Got Mail! Have you been watching Britain’s Got Talent this year? Already at the auditions there are some great acts that surprise, impress and WOW both judges and the nation. Britain's Got Talent is a British television talent show competition that started in June 2007. The show is a Thames production, the show is broadcast on ITV and its sister show Britain's Got More Talent is broadcast on ITV2. Anyone of any age with some sort of talent can audition for the show. Acts compete against each other in order to gain the audience support while trying to win the title of "The winner of Britain's Got Talent''. Did you see Alesha Dixon hit the Golden Button for 100 Voices of Gospel? They delivered an energised, powerful singing performance that had everyone on their feet. Ant and Dec are the popular and charismatic presenters and the judging panel are Simon Cowell, Amanda Holden, Alesha Dixon and David Walliams. I bet David Walliams wishes that Richard could magic his stolen fan mail letters back. David was recently the victim of mail theft when a large box of mail from his fans was stolen. In a con called the letterbox scam, criminals steal personal post from letterboxes. Approximately £5m per year is stolen in this type of scam, which comprises obtaining personal information contained in letters of innocent victims. Some of the most prized letters contain financial information, such as card numbers or passwords. Post that includes credit or debit cards is also being used to illegally buy goods or withdraw money. Cheque books are also used to make fraudulent payments. Utility bills are full of information that a criminal could use to commit identity theft. Personal post, such as birthday cards and family letters, is even used to obtain information about a victim, which can be used to collect confidential details. Financial Fraud Action UK said that banks are trying to avoid the risk by sending important documents in unmarked envelopes and disguised packaging, but prevention of mail theft is key. Director of Financial Fraud Action UK, Katy Worobec, advised people to stay alert when expecting key post. Because your post contains lots of valuble, personal information, it's important to make sure you don't give criminals an easy target. I think that there are some lessons to be learned and ways of improving post security for David and other members of the public. You will find solutions to letter theft at Postbox Shop, because PBS’s Got Talent in security products and advice for ensuring secure mail and secure post. Postbox shop recommends the DAD009. This design is endorsed and fully complies with the exacting Police preferred specification. 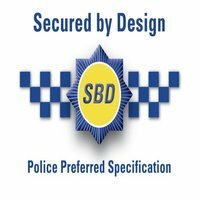 It is the UK’s first and only Certified Secured By Design Letterbox. Made from electro-galvanised steel and powder coated in Grey (other RAL colours are available). This model is designed to be surface mounted, recessed or freestanding and provides the highest resistance against vandalism and mail theft attempt. It is currently the only letterboxes complying the to SBD Homes Guide 2016 released by Secured by Design. Why does PBS recommend a large capacity letterbox and not a letterplate?